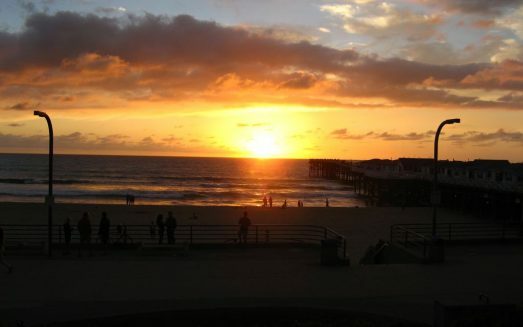 Pacific Beach is situated between Mission Beach to the south, and La Jolla, a neighborhood of San Diego to the north. Pacific Beach boasts the most popular and attractive nightlife in San Diego, but there’s plenty to do while the sun is out. Pacific Beach is a magnet for fun, shopping and exquisite dining. This small, yet vibrant community is where an eclectic mix of surfers, college students, professionals and families flock to when they want to experience an unforgettable time. West of Pacific Beach, you’ll find numerous speciality shops, activities and art galleries awaiting your arrival. Pacific Beach’s architecture along the beachfront is beautiful and historic. It dates back to the 1930’s, but its beauty goes beyond buildings. The beach also boasts a whopping three miles of boardwalk that links to Mission Bay Harbour- strewn with a myriad of beach bars and clubs. Its the hub for those looking to experience the California Dream! The thriving boardwalk is an eccentric display of the modern style of the beach culture, and spans from Palisades Park South to Mission Beach. Crowds of cyclists, rollerbladers, shoppers and pedestrians can be seen here. The scenery also includes Crystal Pier, and the westernmost part of Garnet Avenue. You’ve got to witness it for yourself! Surfers all know about the favorable surfing conditions at the Tourmaline Surfing Park- slow, slopey waves, appreciated by beginners, windsurfers and kiteboarders alike! Situated between Tourmaline and Crystal Pier, the North Pacific Beach is where families can indulge in a more tranquil vacation setting, lying out on the warm, soft sand. The beach is also lifeguard-supervised. Belmont Park is an excellent choice if you love amusement parks! It’s also a great place for sporting activities such as jogging and rollerblading. The section of Pacific Beach from Crystal Pier to Pacific Beach Dr is full of fun opportunities such as bicycle rentals, biker bars along the coast and the best swimming. Crammed with tempting activities, Pacific Beach is a sunny attraction for outdoor enthusiasts, as well. Body boarding, swimming, surfing, and kayaking will quickly draw you into the crystal waters. For you land-lovers, the most popular activities are skating, walking, hiking, biking, jogging or simply strolling across the boardwalk where the party never ends. The hiking paths are a wonderful way to explore the majestic views of the area, to organize a family picnic and to take in the views of the amazing beach and bay. Your children will love the saltwater playground, the swimming, and the sand-castle building. They’ll really love throwing a Frisbee and flying a kite while you fire up the barbeque grill or enjoy a picnic. Pacific Beach has one of the most incredible beaches along the Pacific Ocean Shores. Garnet Ave is a treasure of Pacific Beach. It’s dotted with hundreds of funky shops, boutiques, restaurants, beach bars and clubs. It’s easy to find someone who can make your favorite drink. The town holds the record for having the largest number of liquor licenses per square mile within San Diego! Pacific Beach is an irresistible invitation for a vacation bathed in sun, fun and amusement. 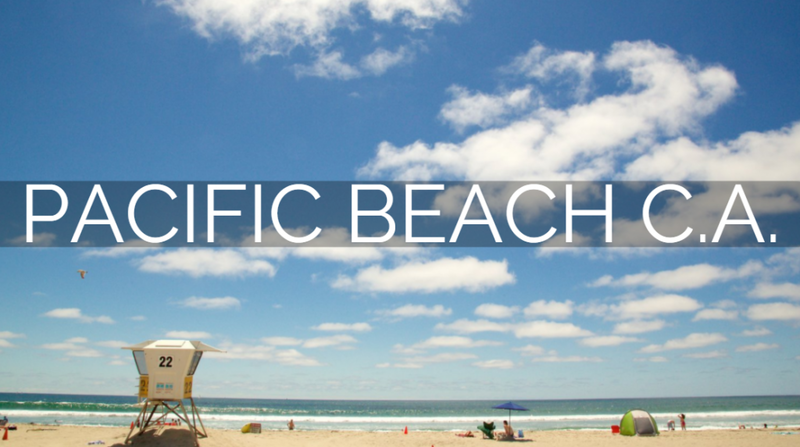 Plan Your Pacific Beach Vacation Today!